Recent Arrival! 2007 Toyota Tacoma 4D Access Cab Reviews: * If you're looking for a capable pickup larger than a Ford Ranger, but not as massive as a Dodge Ram, look into the Tacoma. When it comes to reliability in this segment, many organizations rank it at the top of its class. Source: KBB.comLocated right off Highway 111 at Perez Rd. In the Cathedral City Auto-mall. We offer free door to door shuttle service in the valley as well as a family oriented staff and atmosphere. Awards: * 2016 KBB.com Best Resale Value Awards * 2016 KBB.com Brand Image AwardsReviews: * Comfortable ride; torque-rich and fuel-efficient diesel engine; many available high-tech features; maneuverable size. 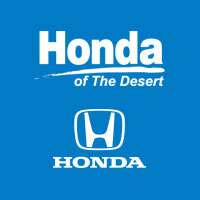 Source: EdmundsLocated right off HWY 111 in the Cathedral City Auto Center.WHY TOYOTA OF THE DESERT? At Toyota of The Desert, we only stock the very best Toyota pre-owned and Certified Pre-Owned vehicles as well as high quality, select brands from other car companies into our inventory. We have a staff of on-site buyers and regional buyers dedicated to acquiring cars and trucks that fit your particular and exclusive needs and at prices you'll love! Then, we recondition those vehicles to strict dealership and manufacturer specifications. Additionally, we work with all credit and financial situations and do our absolute best to find a vehicle that fits every individual's unique lifestyle.Our sales staff is non-commission! That means we're interested in helping to find the right vehicle for you, regardless of price. Awards: * 2017 KBB.com Best Resale Value Awards * 2017 KBB.com 10 Most Awarded BrandsLocated right off HWY 111 in the Cathedral City Auto Center.WHY TOYOTA OF THE DESERT? At Toyota of The Desert, we only stock the very best Toyota pre-owned and Certified Pre-Owned vehicles as well as high quality, select brands from other car companies into our inventory. We have a staff of on-site buyers and regional buyers dedicated to acquiring cars and trucks that fit your particular and exclusive needs and at prices you'll love! Then, we recondition those vehicles to strict dealership and manufacturer specifications. Additionally, we work with all credit and financial situations and do our absolute best to find a vehicle that fits every individual's unique lifestyle.Our sales staff is non-commission! That means we're interested in helping to find the right vehicle for you, regardless of price. V6 6-Speed TRD Sport V6 Toyota Tacoma 4D Double Cab Blue4WD.Awards: * 2016 KBB.com Best Resale Value Awards * 2016 KBB.com Best Buy Awards FinalistLocated right off HWY 111 in the Cathedral City Auto Center.WHY TOYOTA OF THE DESERT? At Toyota of The Desert, we only stock the very best Toyota pre-owned and Certified Pre-Owned vehicles as well as high quality, select brands from other car companies into our inventory. We have a staff of on-site buyers and regional buyers dedicated to acquiring cars and trucks that fit your particular and exclusive needs and at prices you'll love! Then, we recondition those vehicles to strict dealership and manufacturer specifications. Additionally, we work with all credit and financial situations and do our absolute best to find a vehicle that fits every individual's unique lifestyle.Our sales staff is non-commission! That means we re interested in helping to find the right vehicle for you, regardless of price. CARFAX One-Owner. 2015 GMC Sierra 1500 4D Crew Cab Sonoma Red Metallic Reviews: * Powerful and fuel-efficient engines; many available configurations; well-built, comfortable interior; quiet highway ride. Source: Edmunds * The GMC Sierra 1500 possesses chiseled features and distinct lines that not only make it look imposing, but increase how aerodynamic it is as well. In front, between the projector beam headlights, there is an incredibly striking and enormous chrome grille. While driving, it takes in a large portion of the air for cooling the engine, and lets the remainder glide across the truck. It is complimented by a bumper made of sculpted steel, a strong angled hood, and bulging fender flares. The changes made to the truck body, and the resulting improvements in air flow, add up to a quieter cabin for you and your passengers. Plus, its new hydraulic body mounts help mitigate vibrations to give you a smoother and more comfortable ride. The seats utilize a new design for lasting comfort, and reduced fatigue. On select models, the instrument panel incorporates a high-end soft feel, combined with trim made of aluminum for an overall look that is very stylish. The instrument panel has been laid out in such a way that your controls are now easier to get to and see, with larger buttons and knobs, which are more convenient to grab. Spoil yourself with the available 8-inch IntelliLink touch-screen system that you can opt for on SLE and SLT trims. It lets you control your radio and make calls hands-free, wirelessly stream music from your phone, use the rear view camera, and operate the navigation system. Sierra 1500 comes with a choice of 3 powerful engines, a 4.3L V6 EcoTech3 Engine with 285hp, a 5.3L V8 with 355hp, and a 6.2L V8 with 420hp. You have the choice between the Crew Cab, Double Cab, and Regular Cab, and all except the Double Cab give you the option of two different box sizes and having towing capacities from 5,800-12,000lbs. Source: The Manufacturer Summary * If you need a half-ton pickup with the most horsepower and a class-leading 12,000-pound trailer rating, the 2015 GMC Sierra full-size pickup has you covered. Bigger-than-life styling is augmented by a plush interior and a host of cutting-edge safety and communication features. Source: KBB.comLocated right off Highway 111 at Perez Rd. In the Cathedral City Auto-mall. We offer free door to door shuttle service in the valley as well as a family oriented staff and atmosphere. CUSTOM TRUCK WAY TO MUCH TO LIST..A MUST SEE! !Awards: * 2017 KBB.com Brand Image Awards * 2017 KBB.com 10 Most Awarded BrandsReviews: * Power Stroke turbodiesel V8 generates immense power and torque; stronger frame and suspension enable increased payload and tow ratings; aluminum body reduces overall weight and improves efficiency; spacious new cabs offer many convenience and technology options. Source: EdmundsLocated right off HWY 111 in the Cathedral City Auto Center.WHY TOYOTA OF THE DESERT? At Toyota of The Desert, we only stock the very best Toyota pre-owned and Certified Pre-Owned vehicles as well as high quality, select brands from other car companies into our inventory. We have a staff of on-site buyers and regional buyers dedicated to acquiring cars and trucks that fit your particular and exclusive needs and at prices you'll love! Then, we recondition those vehicles to strict dealership and manufacturer specifications. Additionally, we work with all credit and financial situations and do our absolute best to find a vehicle that fits every individual's unique lifestyle.Our sales staff is non-commission! That means we're interested in helping to find the right vehicle for you, regardless of price. 1994 Chevrolet C/K 1500 2D Standard Cab BlueLocated right off Highway 111 at Perez Rd. In the Cathedral City Auto-mall. We offer free door to door shuttle service in the valley as well as a family oriented staff and atmosphere.